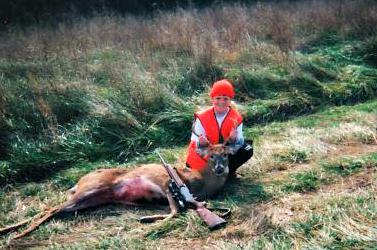 The first time I ever went hunting for a Mid-West whitetail I was a very young and impressionable kid. My exposure to hunting had been minimal. 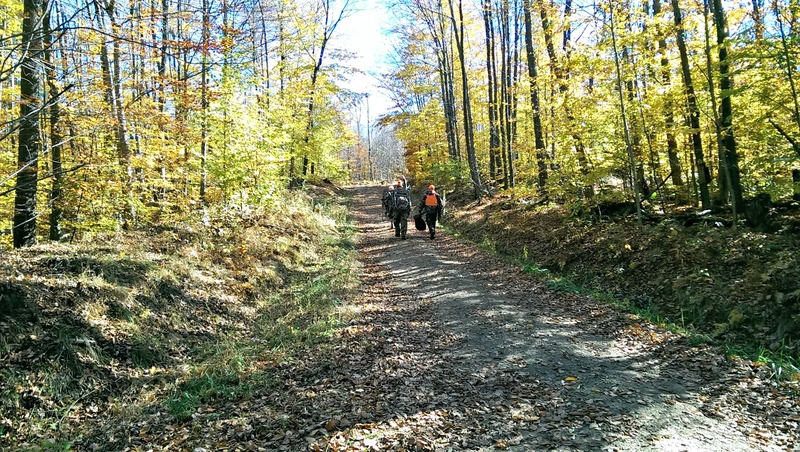 A squirrel hunt with my father was the only experience I carried with me. Aside from this single, firsthand know-how, I had a brain full of images and clips brought to me by folks associated with outdoor television. There I found, for the sake of unbiased reading, my unnamed heroes of the woods. Bringing constant action from around the country that mesmerized me from the couch and inspired me to pursue the same ventures. How could a nine year old watching the most glorified hunters taking some of the biggest game around the country not sit there jaw dropped and in awe? 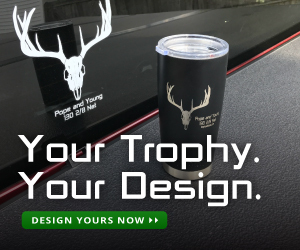 Like many other bad habits that children of this age pick up on, perhaps the occasional curse word overheard from a frustrated parent, this time I picked up on the mannerisms and qualities that these hunting shows put out for the world to see. Before I even knew it, these shows planted a seed of confusion in me that I fully wouldnâ€™t understand until just recently. 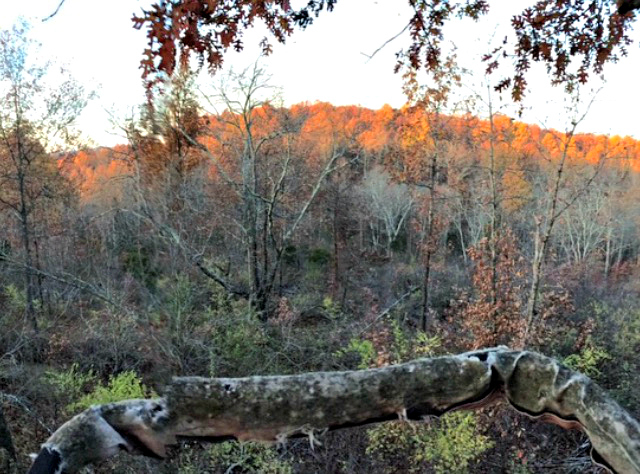 Clad in layers of sweats capped with a camo outer coat and my blaze orange I settled in with my father to a comfortable homemade deer stand. Up off the ground I had a new perspective of what it meant to be out hunting. Even at an innocent age of 9 I still knew something was happening that I didnâ€™t quite understand. My senses were elevated and my need for immediate short term stimulation had subsided; I was calm and focused. Time passed with no avail until my younger and sharper eyes picked out a young 8 point buck wandering the bottom of the ridge we were sitting. Pointing out this triumphant discovery to my father he readied the gun for me and instructed me on waiting for the right moment. The experience was pure and natural; the shot was long and required a follow up to finish the job, but what took place after was a little more disingenuous. Just like the overheard curse word barging out of my mouth before I could catch it; I found myself celebrating the kill like the people I had looked up to all this time, and it did not feel right. Now with that said, I didnâ€™t jump up and down hooting and hollering like many can find on some hunting shows now a days, but I found myself saying a litany of clichÃ© catch phrases to describe what had just happened.Â At the time building up to this event I didnâ€™t know anything else but these celebrations, but once I myself uttered the words taken from television I had become a part of the practice they demonstrated. I now know deep down it wasnâ€™t natural, and it wasnâ€™t how I truly felt; I had celebrated as if I had hit the lottery. What I had actually done is taken a life, and deep down that sense of remorse balanced with accomplishment and respect is what I felt but at the surface I reciprocated these cheesy celebratory actions in attempt to be cool, â€œlike the guys on TVâ€. 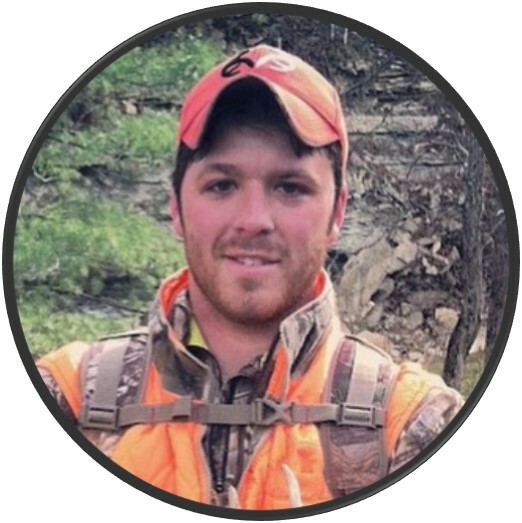 This put in my mind a sense of confusion and as my involvement in hunting grew threw high school; this topic was something I consistently pondered. As I watched these hunting shows with a more mature perspective I was able to separate what was genuine from what was formulated and staged. I came to the realization that it was a sport, with a market, and with any market there are people trying to sell. The constant boast of â€œI couldnâ€™t have done withoutâ€¦â€ and brand name drops were all tied into these formulated celebrations geared at selling a product. I understand there is a time and place for celebrating and brand advertisement, but I just donâ€™t believe it belongs in the immediate moment of the kill. Now donâ€™t get me wrong my DVR box is loaded with recorded hunting shows, I love them, they entertain and teach me when it doesnâ€™t permit for me to be in the field; but it is only a select few that have retained my viewership because I feel as though somehow, these hunters are doing exactly what they would be doing whether the cameras were there or not. These guys are doing what they love and take no part in putting on a show. The second deer I ever killed was much later in life than my first. After a few more trips to the stand I never came across a buck mature enough to take. But when I had the opportunity to do so and take a great 8 point buck my reaction without any intention had changed drastically. It was in that moment that I felt all of the emotions in my mind colliding. I didnâ€™t utter a word; I stood up and looked through my scope trying to locate the running buck amidst the last light of closing day for modern gun season. When I couldnâ€™t find him I sat down, and took a long deep breath as I started going over every detail in my head. I was caught in a crossroad of reassuring myself of the shot and anxiety as to what was to come next while tracking. 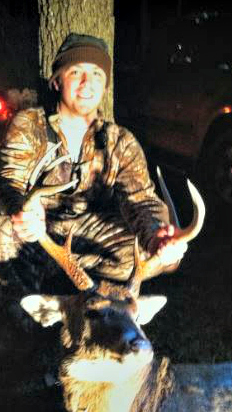 After giving an appropriate amount of down time I went after his trail, and within 50 yards laid the buck. I remained silent as I approached and dropped to my knees. It was here that the feeling of remorse came rushing through; I myself holding the head of an animal I killed, but I knew that the animal would remain a prize in my eyes for life and that no waste would come of its sacrifice. This was the reaction that, for the first time, was genuine to me. I had rid myself of external pressures and let the experience be organic and untainted. I was being myself for the first time while harvesting an animal, and this same exact series of emotions and actions have followed with me every animal since. The reiteration of killing has not lessened the severity and reality of what it means to take a life. 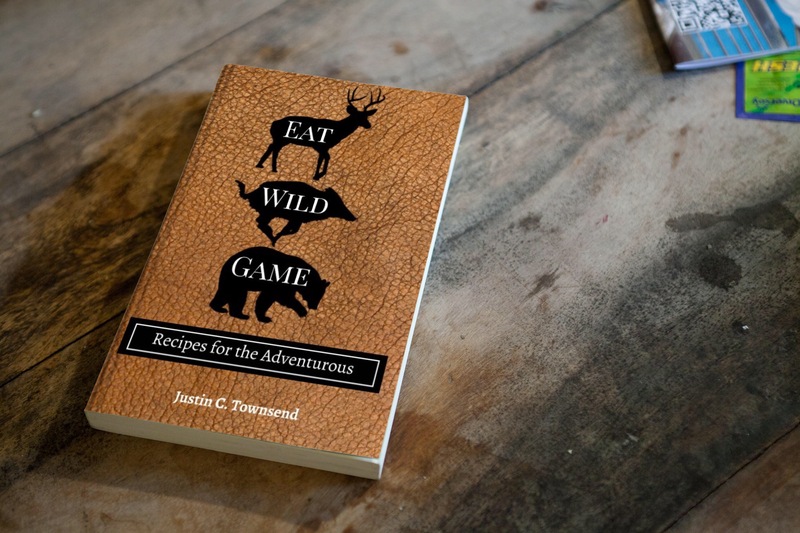 I eat meals of wild game with a clean conscious knowing it didnâ€™t die in any direct or indirect means to sell a product; its loss of life wasnâ€™t belittled with a bombardment of screams and celebrations. I maintain this conscious through respect I have for the animal. And when I take a picture or tell the story in celebration of this harvest there will be no brand placement, no scent bottle laid upon the entry wound or a particular grunt call in my hand. Iâ€™m not claiming to be the righteous model hunter for all others to follow because I too have my own flaws like all men do, but I am expressing my fear for the industry. It scares me how far away we can be removed from our roots if we let the media surrounding the hunting industry mold us into someone we are not. It is mine and many other people alike dream to be able to make a living doing what we love outdoors, but not at the cost of giving up the true experience to ourselves. What is your comfort level when it comes to the immediate celebration of a kill? Comment and share below to keep the conversation going.